Wanting to help others who are going through the same battle she went through, Elaine Embrey got inspired to write about her own journey and battle against this challenging disease. With her background as a nurse, she wanted to make sure that she explained all the confusing medical terms in easy-to-understand language in order to help them throughout their own treatment. 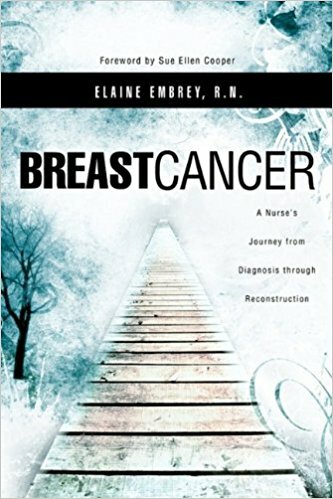 This unique book, “Breast Cancer, A Nurse’s Journey from Diagnosis Through Reconstruction” talks about the different facets of the author’s journey. As the title indicates, she walks readers through her battle from the day she was first told that she had breast cancer throughout the entire course of treatment and all the way through the reconstruction process. Realizing that cancer affects every member of the family, Elaine asked her husband to write a chapter about a spouse’s journey, challenges and struggles while supporting his wife through her challenges. Embrey’s story reminds readers how powerful one’s faith can be, especially during the most difficult times in one’s life. She also emphasizes how her family and their faith helped her overcome all the challenges that came her way. Most of all, she shares her inspiring battle and journey against breast cancer in order to help others and convince them that giving up is not an option. As she joins the upcoming Miami Book Fair International 2018, she hopes that her story, told in “Breast Cancer” will touch more hearts and help more people. Happening on November 11-18, 2018, this eight-day affair will celebrate her book and hundreds of other titles as it brings together thousands of literary enthusiasts and book lovers. Regarded as the nation’s finest literary festival, it’s definitely and event that should not be missed! Elaine Embrey, a retired registered nurse, survived breast cancer. While going through her journey, she grew in character and in her faith. She shares her story and everything she has learned along the way, in hopes of helping others who have to travel this same journey. Her husband Ron passed away in 2014. Elaine now lives with her twin sister in a condo in Bay City, Michigan. They were both diagnosed with Parkinson’s Disease so they continue to support each other through another battle, another disease.